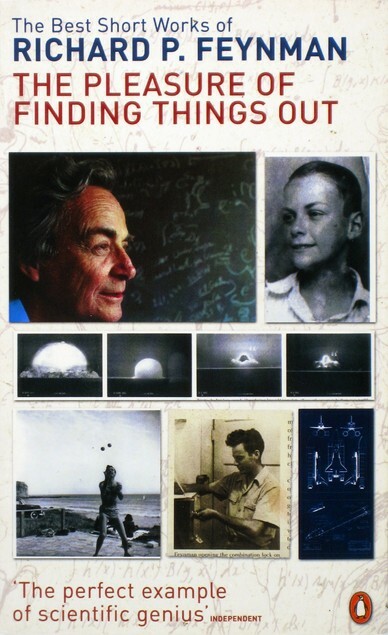 In Richard Feynman’s The Pleasure of Finding Things Out (1999) is the transcript of an interview conducted under the auspices of the AAAS, in which Feynman recalls his very first formal lecture. As an undergrad working with John Wheeler the pair had formulated a new theory of how light works, and it was considered interesting enough to warrant a seminar. Eugene Wigner, who had suggested the seminar, felt the theory was sufficiently important to appeal to various luminaries of physical science, and duly sent special invitations to Wolfgang Pauli, John von Neumann (whom Feynman calls ‘the world’s greatest mathematician’), astronomer Henry Norris Russell, and Albert Einstein, who lived nearby. When non-linguists talk about grammar, they are normally referring to more transient things like spelling, style, and conventions of usage. This discrepancy between the technical and popular interpretations of ‘grammar’ fosters uncertainty and disagreement over what a grammatical rule is, and what therefore counts as correct. Disputants may be at cross purposes because advice on ‘grammar’ is often simply instruction on style and usage. . . .
Grammar rules, as I once tweeted, come from how people use language. They emerge from the bottom up; they are not imposed top-down from logic, Latin, or some higher ideal. One example of a ‘rule’ imposed by decree from logic, Latin, and higher ideals is the proscription against multiple negation, better known as double negatives. The Merriam-Webster Dictionary of English Usage reports Otto Jespersen’s observation that because negation in English has often been marked subtly – ‘by no more than an unstressed particle like old ne or modern -n’t’ – speakers have long tended to reinforce it with additional negation. So the double negative is a feature of many dialects, and indeed was once common even in the literary English of Chaucer, Shakespeare, and Defoe. But that was before it gained a bad reputation, the result more of social than of grammatical pressures. The post then briefly documents double negatives’ fall from grace as a result of unwarranted pejoration from 18thC grammarians and those who’ve carried the torch for them ever since. Older posts can be read in my archive at Macmillan. Diamond fried two eggs in butter and ate them out of the pan, fried two more. He looked for coffee but there was only the jar of instant dust. “I’m going to get a buckle like yours when I’m eighteen,” Pearl said. “And I’m not going to get bucked off because I’ll hold on with the grip of death. Like this.” And he made a white-knuckled fist. In a few words (Ain’t good for you) we see a child spontaneously adopt a previously unavailable piece of grammar. Ain’t isn’t part of my dialect: Hiberno-English amn’t, with which it shares an ancestor, covers a lot of that ground. But I ain’t averse to it, and I use it occasionally. Incidentally, I’m using a new version of Microsoft Word, and it red-lined ain’t in the draft of this post. Having added the word to my previous dictionary years ago, I’d forgotten that the unfortunate stigma against it extends even there, and probably helps perpetuate it.